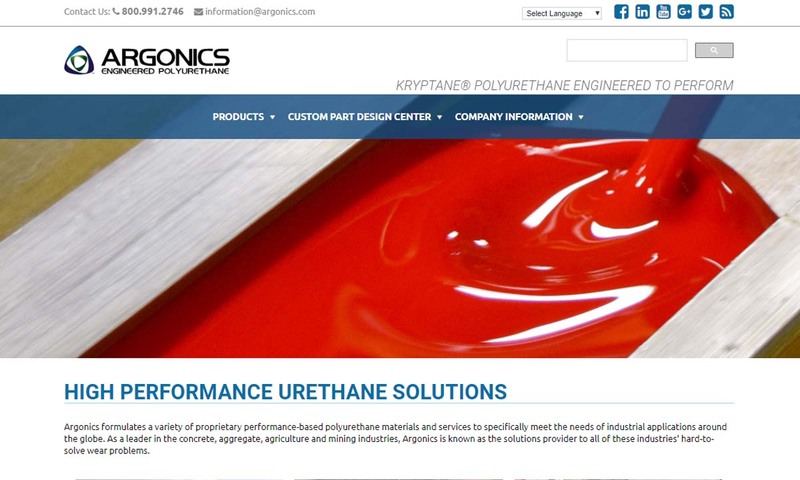 A reliable source for Molded Urethane information and a resource for accessing leading Molded Urethane and suppliers. Urethane molding is the process used to create molded urethane parts (molded polyurethane parts). This process is used by manufacturers to fabricate a wide variety of parts and products for an equally wide range of industries, such as: athletic equipment, engineering, manufacturing, industrial, food processing, automotive, and construction. Molded Urethane Urethane molding is the process used to create molded urethane parts (molded polyurethane parts). This process is used by manufacturers to fabricate a wide variety of parts and products for an equally wide range of industries, such as: athletic equipment, engineering, manufacturing, industrial, food processing, automotive, and construction. A manufacturer of custom polyurethane molding, American Urethane serves a variety of industries, including chain conveyor equipment, material-handling, power tools, computers and medical. 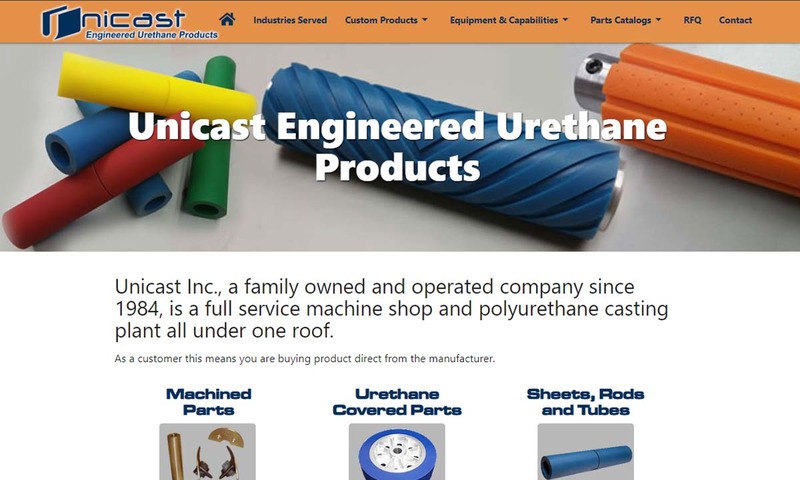 Unicast is a full-service polyurethane molding company and machine shop. They offer quality and long lasting engineered parts. Our casting machines ensure blending of standard urethane blends. Elastomers provide a class of solutions to sticky design problems; polyurethane is a tough, durable and versatile elastomer suitable for difficult situations. 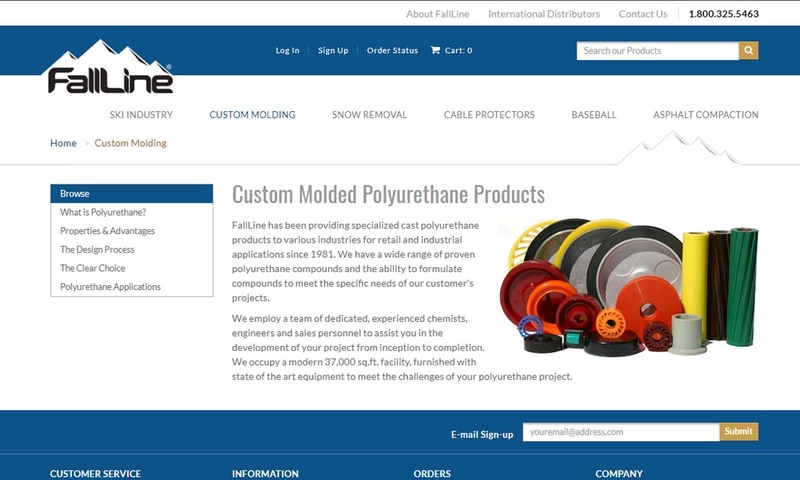 FallLine has been a manufacturer of custom polyurethane molding products for various industries since 1981. 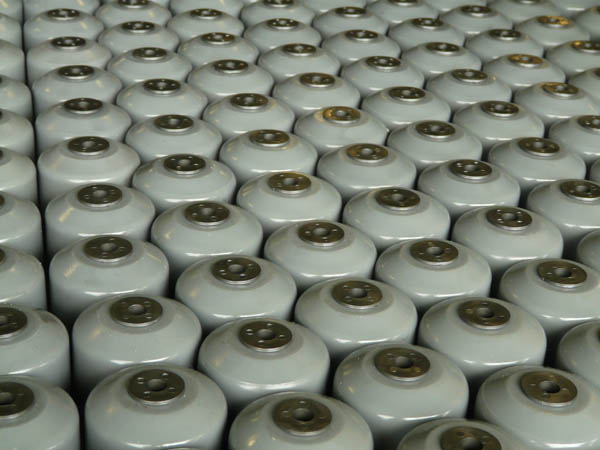 We offer a wide range of proven materials ranging from 40A - 80D, as well as the capability to formulate materials to meet specific needs. We utilize the right tools for handling your tasks. We manufacture polyurethane molding solutions here in the USA. Our products are ideal substitutes for rubber, metal and other types of plastics due to the polyurethanes rigid but lightweight design. 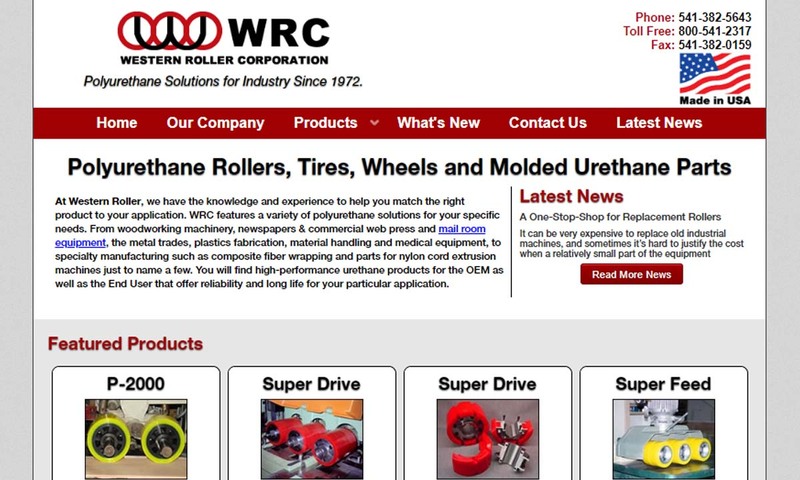 Western Roller Corporation has been experts in polyurethane molding solutions since 1972. WRC cast and molded parts offer superior properties and low set-up cost for small custom runs to large quantity production. This process is used by manufacturers to fabricate a wide array of moldings, parts, bowling balls, urethane bumpers, polyurethane belts, conveyor bushings, electrical potting compounds, press tool blocks, and pneumatic seals. It is especially valued for its uses in “memory foam” products. For a more in-depth look at molded polyurethane products, we can break them down into groups by industry. 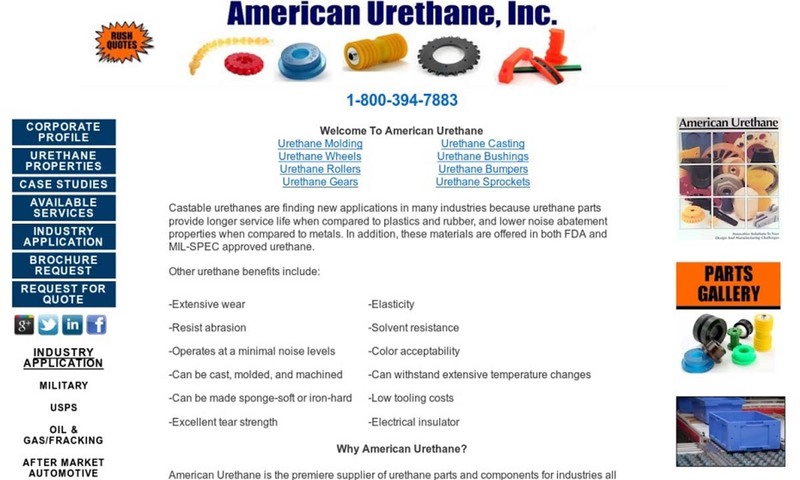 Molded Urethane – Unicast Inc. Examples of molded urethane automotive products include: automobile seats and seat belts. While upholstered with another material, the substantial, cushion-y seat is made from injection molded urethane. In addition, polyurethane can be used for applications such as tires for trucks, due to how well it can handle compression loading. Examples of recreational products produced through urethane molding include: surfboards, skateboard tires, inflatable boats and high-end tennis racquet grips. Surfboards feature solid molded urethane cores, which make them light and durable. Molded urethane tires make it easier for a skateboarder to perform difficult tricks. Inflatable boats feature components made from urethane sheets. Tennis racquet grips made from molded urethane are highly stretchable, so that can create a tight, glove-like grip. Molded polyurethane machine parts include conveyor wheels and urethane bushings. Molded urethane conveyor wheels, while more expensive than rubber conveyor wheels, are more abrasion resistant and durable than rubber wheels. Molded urethane bushings are quickly replacing rubber bushings because they hold up in situations where rubber bushings fail or wear out quickly, like: salty environments, chemical environments, high abrasion applications and oil saturated situations. In addition, urethane bushings are better at maintaining correct wheel alignment. Molded urethane works as an excellent outer shell to electronic components of all kinds. They shield them from abrasion, mechanical stress, environmental stress and impact. Molded urethane electronic shields are effective up to 250℉. Polyurethanes (PU) were first developed in 1937 by Dr. Otto Bayer and his coworkers. Finding that polyurethanes offered advantages over existing plastics, Bayer and his associates first focused on producing PU fibers and flexible foams. The use of polyurethanes quickly spread. Their first widespread application was aircraft coating during World War II. Other WWII applications included other coatings and resistant clothing. Mass production of polyurethane foam, gum rubber and elastomers began in 1954, using toluene diisocyanate (TDI) and polyester polyols. By the late 1950s, manufacturers were producing flexible cushioning foams. During the 1960s, automotive engineers adapted one of the most common molded urethane applications we know today—automotive interior components. The first of these were safety components, like instrument and door panels. These were produced by backfilling thermoplastic skins with semi-rigid urethane foam. In 1969, Bayer (the company) presented an all-plastic car in Düsseldorf, Germany that featured certain components, like the body panels, using reaction injection molding (RIM). This was a new process that allowed them to mix urethane and reactants and then inject them into a mold for shaping. From the RIM process was soon developed reinforced RIM (RRIM), an injection molding process in which they created reinforced products with added filler (Mica, processed mineral fibers, milled glass, etc.). This process offered manufacturers added product stiffness, better thermal stability and less thermal expansion. Using RRIM, automotive manufacturers built the first American plastic-body automobile, the Pontiac Fiero, in 1983. That same decade, automotive engineers replaced PVC plastisol with water-blown microcellular flexible PU foams for molding panel gaskets and air seal filters. They also developed yet another RIM process, structural RIM, also known as resin injection molding. This process involved placing glass mats into the RIM mold cavity. This allowed manufacturers to create even stiffer products. Today, molded urethane manufacturers create products for all sorts of applications and industries. Because they have developed even more urethane varieties, they can withstand a greater variety of temperatures and environments. The material referred to in “molded urethane” is polyurethane. Polyurethane is, generally speaking, a polymer made up of organic units joined by carbamate (urethane) links. There are many different types of polyurethane. However, most polyurethanes share the qualities of flexibility and rigidity. Raw polyurethane materials exist in a liquid state, as far as castable urethane is concerned. Because of this liquid state, the raw material can be easily measured and mixed and prepared for molds. Sulfur is a slow vulcanizing agent, and is often used alongside other materials to improve the final product’s stability. In preparation for the main polyurethane molding process, manufacturers develop a silicone rubber mold (sometimes erroneously called “silicon rubber”) and a master pattern. Once they make the mold, manufacturers mix the raw polyurethane materials so that they react and form a pre-polymer solution. During the urethane molding process, the polymeric transition is completed when a curative is mixed with the pre-polymer solution. The mixture is then accelerated by pressure or heat as it is poured into a mold cavity. In this stage, coloration and other chemicals may be added for aesthetic purposes. Finally, the mixture cools, hardens and cures to form the final polymer product. When designing a molded urethane part, manufacturers think about application specifications, such as: product shape, product thickness, required product characteristics (abrasion resistance, corrosion resistance, etc. ), product size, product volume and standard requirements. To create a custom urethane molding for you, they can do a number of things. First, they can create a custom mold. A custom mold will ensure that your part comes out shaped and sized just how you want it. Second, they can alter your material. If your product will be made from foam, for example, they can alter it to act as rigid foam, semi-rigid foam or flexible foam. They can also put in additives that change coloring. Finally, they can engage in any number of secondary operations to create custom characteristics, like special coatings, labeling, etc. For more information of custom product design, discuss your specifications with your prospective manufacturer. During the process of open polyurethane molding, the pre-polymer and curative are heated and mixed. Next, the mixture is poured into an open mold cavity. There, the cast urethane is cured. In this case, the curing process does not involve the application of pressure. Closed polyurethane molding processes, such as injection molding, involve heating the curative and pre-polymer, mixing it together, and injecting it through small holes into a closed mold cavity. Inside the mold, with the help of heat and pressure, the cast urethane cures. Polyurethane foam molding is a foam molding process which is frequently used by manufacturers to make soundproofing insulation. The final product is an excellent coefficient of friction, and possesses exceptional, flexibility, compression, and tension properties. Furthermore, foam urethane products are highly stable, enabling them to maintain their hardness over their entire operating lifespan. The polyurethane molding process is actually a subset of RTV. RTV often involves using materials such as polyurethanes, silicone, or wax. This process has a few benefits, including the ability to achieve an excellent surface finish and a high level of detail. Polyurethane is a popular material for this process because of its hardness and its ability to withstand temperatures up to 220F (approx. 104C). The rapid manufacturing and prototyping chemical process of RTV involves adding curatives such as sulfur in an effort to convert materials such as polyurethane into a compound that is much more durable. The RTV process is ideal in projects in which the manufacturer requires a short run of parts that must be similar in physical appearance or functional capabilities compared to parts or materials that have been previously produced. During RIM, manufacturers mix liquid polyisocyanate with liquid additives (blowing agents, surfactants, catalysts, polyols, etc. ), which they then inject into molds. While the urethane mixture is in the mold, it is exposed to high pressure via an impinging mixer and cured. RIM molding offers the advantages of lower tooling costs and strong and lightweight products. However, its raw materials are more expensive than other methods and it requires a higher cycle time per product. Urethane injection molding is very similar to regular plastic injection molding. The main difference is that, instead of a liquid material, it uses thermoplastic polyurethane pellets. The pellets are placed inside a screw column where, put under high pressure and temperatures, they turn into liquid. Once liquid, the material is injected into the mold. Urethane injection molding produces high tolerance parts at high volumes. However, sometimes these products can come out low quality, with knit lines. In addition, tooling is very expensive. Finally, compression molding involves using a heated mold. Manufacturers place the polyurethane inside the mold, where pressure forces the urethane to spread out and shape, then cure. Compression molding creates products with large cross sections and it can eliminate the need for secondary processing. It can, however, be expensive as well. Polyurethane molding offers lower cost tooling. Overall, it costs roughly the same as polymer molding and rubber molding. In addition, the polyurethane molding process is capable of forming parts without drafts or with undercuts. It is highly precise, is capable of working with a wide range of part sizes. Urethane molding has a fast turnaround time. Polyurethane molded parts require little to no additional finishing. 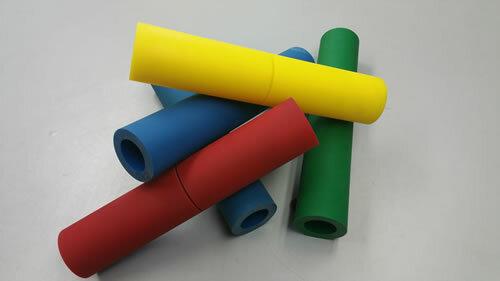 Polyurethane elastomers have several laboratory-tested advantages compared to elastomers made from different materials. Polyurethane is highly resistant to radiation, ozone, oxygen, oxidation oil, tear, cut, and abrasion. Additionally, it has a greater load bearing capacity, a broader range of hardness, and is easier to color than rubber. Urethane has also been proven to resist wear and tear more effectively than some types of steel. Compared to metal, polyurethane is more resilient and more capable of reducing noise. It is highly flexible, inexpensive to fabricate, and is highly resistant to impact, corrosion, and abrasion. Polyurethane is light in weight, non-conductive, easy to mold, and doesn’t generate sparks. If you’re in the market for molded urethane products, it’s important that you work with a reputable supplier that will understand your application needs. 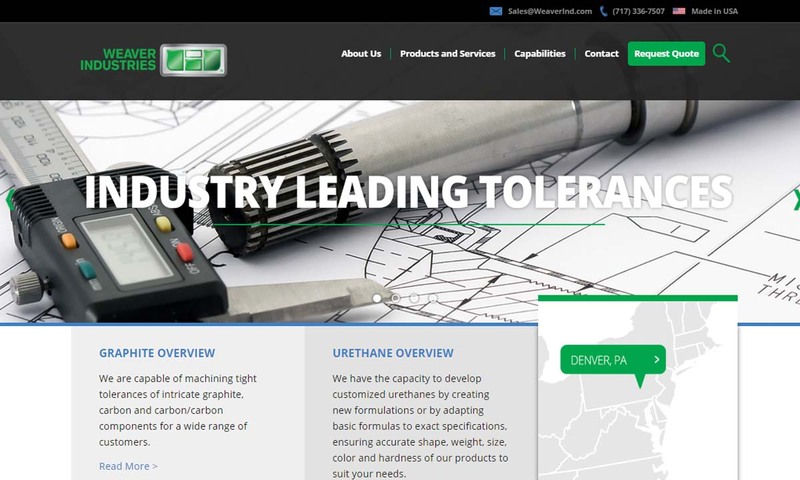 To find the right molded urethane provider for you, start by checking out those high-quality companies that have listed on this page. You’ll find them sandwiched in between information sections, complete with profiles and contact info.  As you look through them, keep an eye out for manufacturers that offer services and products that may fit the bill. Also check out their delivery options and standard certification options, if available online. Pick out three or four to who you’d like to speak directly, and call or request a quote from each. During each conversation, discuss your specifications at length, as well as your budget, ideal timeline and delivery preferences. Make sure that if you require any certifications or safety standard adherences, they can meet get or meet those for you. Once you spoken with each contract manufacturer, compare and contrast their answers. Choose the manufacturer you believe will best serve your needs, and get to work.